You can heal. You can be free from the pain and sorrow of your past. You can be happy and whole. Start your healing journey today. Marsha (Marty) Barth has been an inspirational speaker for twenty years. 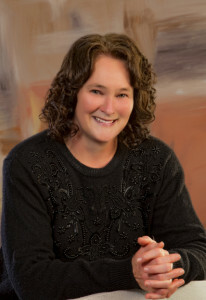 She is an author, advocate, and speaker, speaking at State events, to college Criminology and Psychology students, at Universities on domestic, child abuse and child sexual abuse, to Social Services Forums, and has been a guest for many radio, podcasts and television interviews. She has worked at an addictions facility, spoken regularly on Christian Radio, speaking at prisons, re-entry, recovery programs, and for motivational and inspirational groups across the country. A business woman by profession for 27 years, she ran the family business with her husband Mike in Pennsylvania. She is the mother of two children, and has seven grandsons and one granddaughter. I was born in the hills of Appalachia. Surrounded by the beautiful mountains, refreshing streams and southern hospitality, it is a place so peaceful that it resounds of all that God intended for the beauty of His creation. It is an area where poverty has become a way of life, but there is a richness that supersedes the many troubles of life. A richness that comes from what God can do with just one thread of hope or even the faintest flicker of His light. In my heart, I have a passion to reach the brokenhearted and the crushed in spirit with the very knowledge of the reality of a God who is ever touched with our infirmities. Who loves and cares for us despite the cruelty of a world that has chosen to live without Him and then to blame Him for the outcome of the very choices that they have imposed on others. For many years, I had lived under the cloud of darkness and silence. It seemed proper for my secrets to remain hidden and to let the past be forgotten. A heart that is locked over a period of time will surely die. As it ceases to feel pain, it will also cease to feel love. It is in our silence that Satan holds his greatest shield of defense against us. When we let God tear down the veil of silence, the heart can begin to heal. No longer silent, I speak out. I bring to you not only the many troubles and sorrows of my life but also the joy of what happens when there is one thread of Hope or even the smallest flicker of His love. Sorrow is but for a season. Joy comes in the morning. Many years have passed since the ending of “The Shattering”. How does one heal from the hurt and pain that is experienced from abuse? How do we deal with the broken trust, the shattered innocence and the shattered purity, the crushed hope and the vehement anger? How do we find our identity when it has been shrouded with a cloak of fear and shame, guilt and blame? It is a journey. A journey of healing that can lead us onto a pathway from victim to victor. There is much more to tell about this journey. So many more questions that need to be addressed and answered. 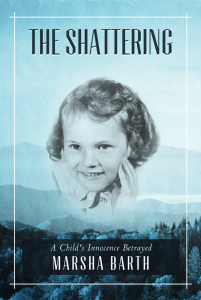 If you have read “The Shattering”, you will love reading the sequel “The Shattering II”, I hope to answer many of these questions as Julie’s story continues on her healing journey. Questions as to how Julie dealt with these issues. How she dealt with the pain and anger and confusion that had devastated her life. There were many confrontations with her dad in the years that followed. Each step of Julie’s healing led her into more bitter conflict with the man that she knew as “Dad”. Often she was torn between her own pain and anger and with how she would ever be able to confront her dad over what he had done to her. How could she ever forgive him? But if not—then how could she ever heal? How could she care about his very soul being saved when he had raped her own soul? Would she ever be able to forgive him and be delivered from her pain? Would she ever be free from the fear and shame, guilt and blame? Yes! And you can too. May you be blessed by the reading of both of these books, “The Shattering” and “The Shattering II”. May your heart be opened to the joy of healing and to the laughter it brings, rather than the pain and suffering. May God heal your broken heart, give you a better understanding, and deliver you into a new life. Very encouraging Marty! Its great to see how the Lord has been faithful in seeing you through this!! Congratulations on your book signing, Marty. Your influence spreads more than you know when you do a book signing. Just got to read your new write up Marty. It is “great”. I have known you to be a great woman of God since the first day I met you over 40 years ago. Hard to believe its been that long. I must not say it surprises me that you have taken on such wonderful ventures. You have always been a willing, yielded, loving vessel of God. I will be praying that he bless you in your new endeavors. I cannot wait to read the sequel. You had left hints to me of what you went through, way back when, but I had no idea that it was “so intense”. After reading the Shattering, it gave me an appreciation for you more than ever before. I can see now the fire that the potter had his chosen vessel in. You have been “chosen” to do a glorious work. Keep carrying the torch and encouraging hearts. I read your article in the paper. I logged into your website and was touched by the Spirit of God. It is good to write about bad experiences rather than talk about it. Who would believe you? That is what I did and it was beneficial. Although our stories are different, if I were to talk to you, I could feel your pain. I credit God for protecting me for many years. What I thought was a normal life ended up to be a disaster. Enough said. The book: “Living With the Devil’s Daughter” is in the local libraries. Book reviews are on Amazon.